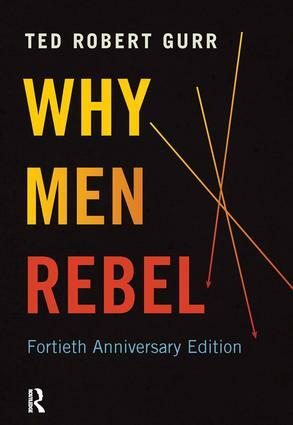 Why Men Rebel was first published in 1970 after a decade of political violence across the world. Forty years later, serious conflicts continue in Africa, Asia and the Middle East. Ted Robert Gurr reintroduces us to his landmark work, putting it in context with the research it influenced as well as world events. Why Men Rebel remains highly relevant to today's violent and unstable world with its holistic, people-based understanding of the causes of political protest and rebellion. With its close eye on the politics of group identity, this book provides new insight into contemporary security challenges.